I had high expectations for the Stanton T.92 USB. It is superior to the turntables I've been testing in so many ways. But listening to the samples, I cannot tell the Stanton from the $100 Audio-Technica. Yes, I ABX'ed this claim. I think the 500.v3 cartridge is keeping this turntable from truly shining. Heavy metal plinth, aluminum platter. It weighs in at 19 pounds, it is metal in body and platter. 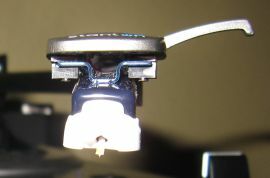 The other turntables are all plastic all around, with the exception of the Audio-Technica, which has an aluminum platter. Spins at 33.3 RPM. The other turntables all spun fast, up to 34.4 RPM. The Stanton's direct drive motor spins at the proper speed and it has strobe dots to prove it. Anti-skate + counterbalance = upgradable cartridge. The other turntables were a take it or leave it proposition. 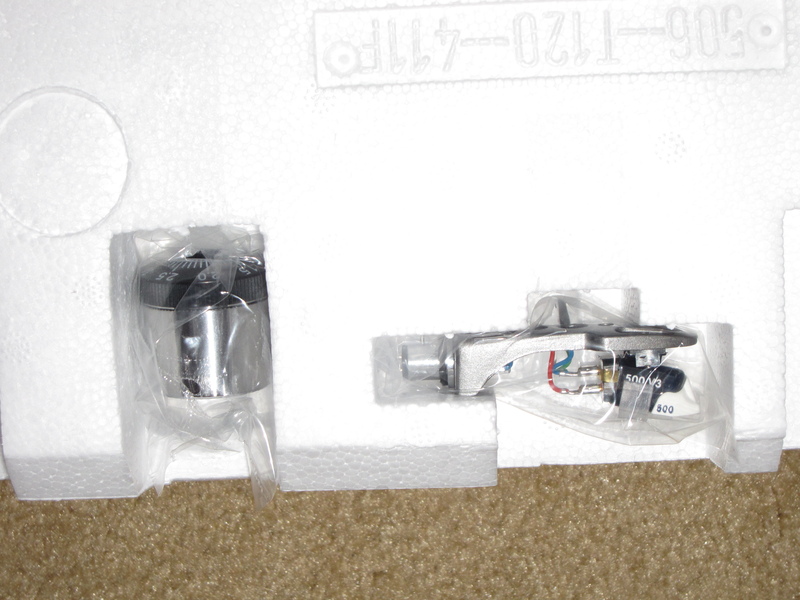 The T.92's cartridge is upgradable and that's exactly what I'm going to have to do to see if it can redeem itself! S/PDIF Out. 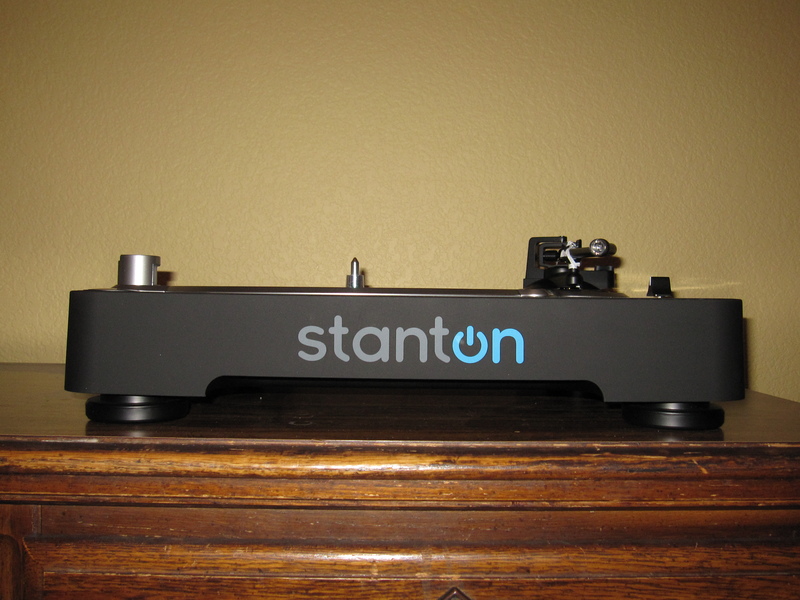 Stanton is one of the few manufacturers to make turntables with a coax S/PDIF digital output. Despite all it has going for it, the Stanton sounds closed off at the high frequencies. I also had to use 5 grams of VTF (the top end for the 500v3 cart) and I still had trouble getting its spherical tip tracking properly. Before singling out the cartridge for the lackluster sound, I eliminated the A/D converter and the pre-amp as the problem components. Hear the samples above. 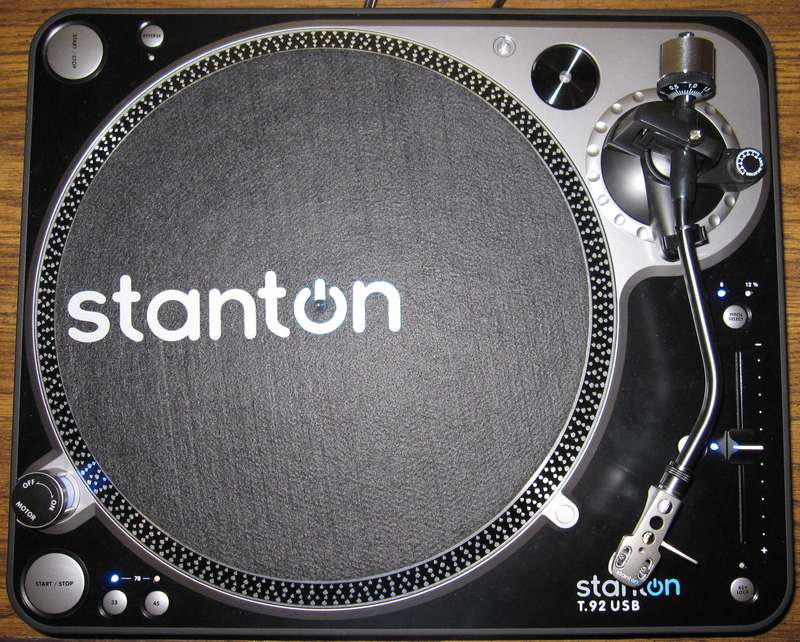 IMO, the Stanton is no comparison to the two ceramic cart turntables. The Ion TTUSB05's sounds more opened up on the top end but the equalization just sounds goofy compared to CD. 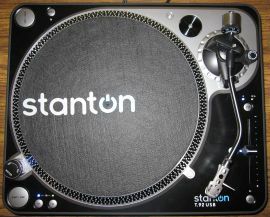 But the AT, a plastic-bodied, budget turntable with an AT3600L cartridge is a pretty good contender to the Stanton T.92. I will definitely return with a better cartridge for the T.92 to see what difference it makes. Another issue- the gain is set very low on the T.92. Perhaps it's done purposely to avoid clipping amidst DJ'ing acrobatics and among wild DJ cartridge designs. Unfortunately, like nearly every other USB turntable on the market, the gain is not adjustable. Normalization is a must after transcribing with the T.92. When I first cracked open the box, I felt like I had my first real turntable. While that may have been true, reality has shown me that it takes more than a solid plinth, a robust, steady motor and anti-skate adjustment to make music that truly stands out from its lesser brethren. It takes a good cartridge to complete the package.